The Humboldt Botanical garden boasts 3 miles of hiking trails that wind through the uncultivated areas of the 44.5 acre garden. 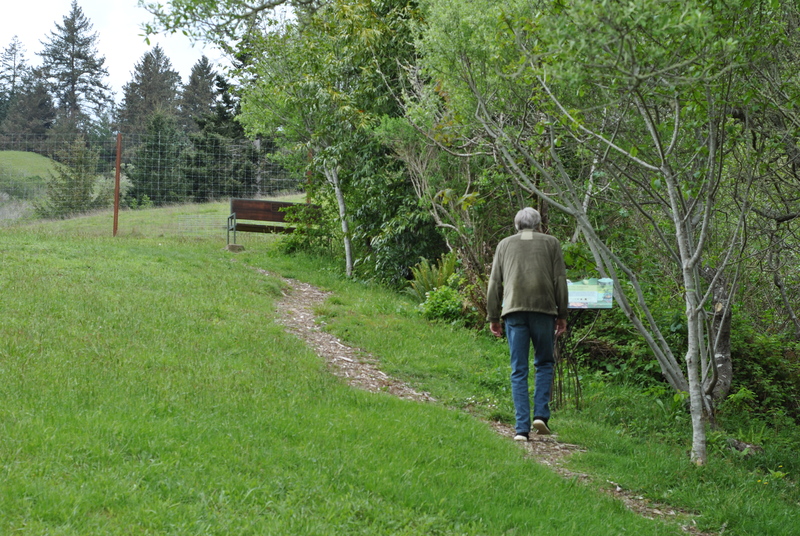 Hiking Humboldt Botanical Garden’s nature trails will give a hiker an hour workout. Steeper trails offer stunning views of Humboldt Bay and the Loleta/Table Bluff area. Gentle, flat trails snake through riparian areas where butterflies, songbirds and native plants thrive. Trails are wide, mulched and well-maintained throughout the year. All trails loop to the main gravel road that bisects the Garden from the entry gate to the All Happy Now earth sculpture at the top of the Garden. You can’t get lost.